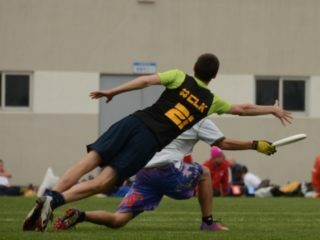 Editor’s Note: The Bay Area Disc Association posted this wonderful op-ed from a mother of a youth ultimate player. We were so floored by how succinct this piece was we requested to share it on Skyd as well to help spread the word. Enjoy. My eldest daughter jumps, catches, turns, lands on the grass in the end zone and leaps into her teammates’ arms. For six years I’ve sat on a sideline, in heat, rain and wind, watching my children play other mothers’ children in Ultimate Frisbee. Those six years have coincided with tremendous growth for my daughter naturally, but the person into whom she has grown has been deeply shaped by this sport. Whenever a parent of a daughter asks me what Ultimate did for my daughter, I say three things: It gives them a voice, gives them a body and gives them a tribe. 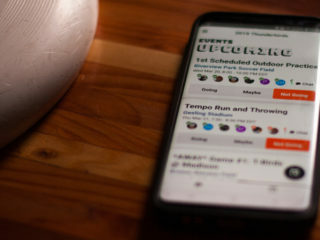 Since Ultimate Frisbee is self-refereed, the player herself has to make a call of foul, out of bounds or stall count. Her fellow players and coach can’t call it, and she might have to argue with the other player about her call. It might take her years to do that, as it did my daughter. But when she raises her head and yells, “Stall!” it’s all her. And here’s the thing — her take on the situation: a rule has been violated — is assumed to be valid. She and the other player will stop the game, decide if they can agree on the call and their decision stands. It can’t be overruled by outside agents. Even if they disagree, she gets to make that call and the game will resume either from that point or the one before it. If a girl wants to play well, she’ll spend a lot of time throwing a disc, running, diving, jumping and generally working very hard. She’ll learn that placing her fingers in just this kind of v-shape on the underside of the disc will make it curve this way or that. If she balances on the balls of her feet and swings an arm down, she’s more likely to make that hand block. 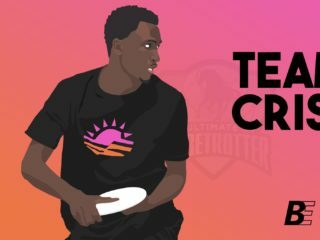 For a society that puts a lot of messages out for girls to focus on the outsides of their bodies, and what they look like, Ultimate is the antidote. It forces them to inhabit their bodies fully in order to play. When my eldest daughter watched the girls on the high school team take the field when she was a skinny little thing, she’d sigh, and say, “They look like tigers. I want to be like that.” And they did. That arrogant, stalking walk, the way they’d line up for the pull — these were girls who had more on their minds than how they looked. They were there to play. And those girls? They embraced the young woman my daughter was right as she was then — no matter that she wasn’t as tough as they were yet. The boys on the team formed the same kind of welcoming mob. Every tournament begins with an arm-linked circle. Every loss is met with supportive hugs. Every win celebrated with joy. 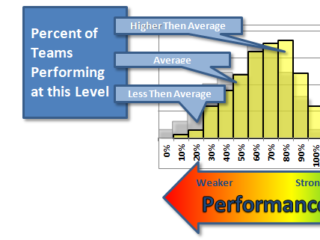 The Spirit of the Game — the idea that there is a higher ideal than winning and fierce competition doesn’t mean acting in unsportsmanlike ways — supports the players. My girls play with kids younger than themselves; they play with adults and against teams of college students. In each case, it’s assumed that they are all the same kind of people — Ultimate people. These kind of people are family of a kind forged by lots of work, lots of experience and more fun than seems quite reasonable. Bay Area Disc is a 501(c)(3) non-profit organization that relies on individual donations to fund its programs. 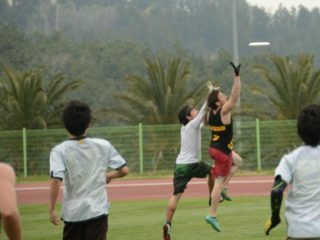 Make a donation to strengthen the Ultimate community and create opportunities for youth Ultimate athletes to interact, develop and compete.